A comprehensive range of sophisticated systems. Puma-Folien® by W.Bosch+Co. 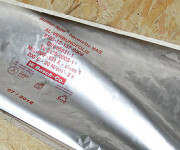 are part of our range of sealable composite films. They can be used to safely and effectively protect large metal machinery, work pieces and tools, as well as bulk cargo, against environmental influences, pollutants, contamination and corrosion. 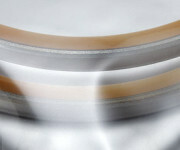 Puma-Folien® by W.Bosch+Co provide our customers with broad-spectrum protection. Puma-Folien® can thus be used in a wide range of applications: in the metal industry and food manufacturing, for military purposes and in the electronics industry. 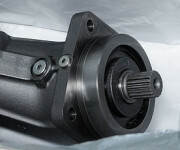 Puma-Folien® can be used as long-term packaging, transport and export packaging (in particular for overseas shipments) for machinery and spare parts, bulk material and powders, as well as for mixed components comprising metal, plastics and rubber. The period of protection can be extended as required by the subsequent addition of dessicants. 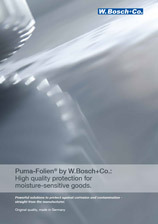 Puma-Folien® by W.Bosch+Co. are available in a variety of thicknesses and styles, e.g. in conjunction with LDPE film, HDPE film or fabric reinforcement, as a transparent special compound with a special seal layer or with VCI agents. 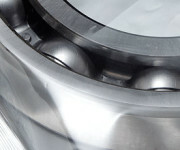 The packaging type can be selected according to the intended use: as flat films on reels of widths up to 1,750 mm, in sheets or other formats, as well as sealed pieces up to 6,000 mm; folded on reels; as tubular or semi-tubular films; as flat pouches; as crate inlays and hoods; as side-gusset bags or covers; in individual formats and, of course, printed or plain. Most Puma-Folien® can be handled in the same way as commercially available PE films and are ideal for use in automatic packing processes. The films can also be heat-sealed manually or automatically.